Take the guesswork out of machinery lubrication. 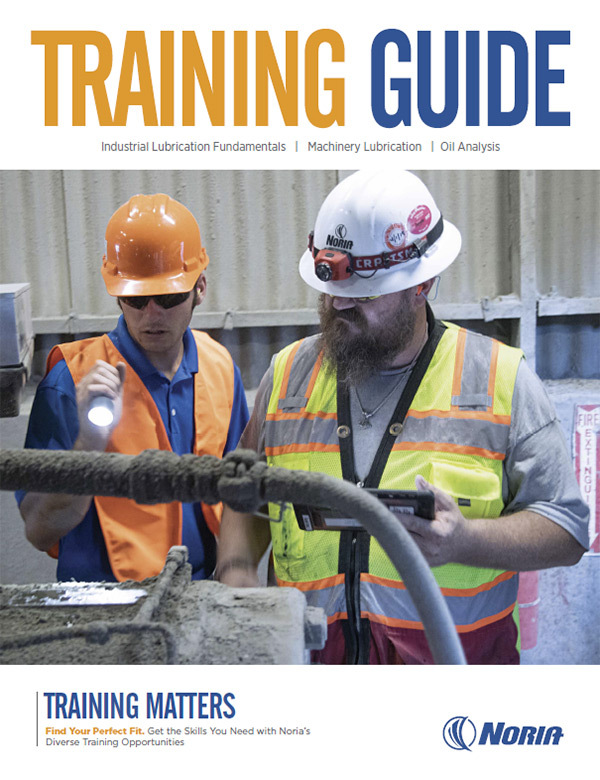 Learn precision lubrication skills for maximizing machine reliability. Most maintenance programs achieve only 10 percent of the benefits available from oil analysis. Learn how to unlock the full potential of your oil analysis program. Noria conducts instructor-led courses in more than 50 countries worldwide each year. Conducted by industry experts, our courses cover the best practices for machinery lubrication and oil analysis. Available worldwide, at your location of choice, Noria Onsite Training Courses are a cost-effective way to train a group of employees. Online training is your fast track to implementing Noria’s proven strategies for extending machine and lubricant life.This flexible format provides convenience for companies around the world, allowing students to learn at their own pace and schedule. Discover the latest books, videos, posters and technical papers.